We welcomed in the beginning of the autumn season with great resolve after a tumultuous few months. The weeks following the landfall of Hurricane Irma to the Naples area was met with bustling activity. Public utilities, roofing contractors and landscape companies worked tirelessly to re-establish a sense of normalcy throughout our slice of paradise. While there is still some work to be done, residents and industry leaders agree that established hurricane building code standards and quality craftsmanship significantly reduced the severity of the structural damage to our area. Residential sales were tempered in September and October as transactions were naturally delayed; single family properties that suffered damage required repairs or in the best case scenarios to be re-inspected prior to buyer’s agreement to carry out the transaction. Condominiums that withstood damage forced home owner associations to react swiftly to ascertain expenses. Insurance adjusters and estimators proved a vital role in order for sellers to provide concessions that kept deals from falling apart. 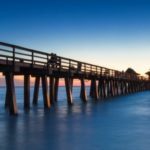 September is historically the slowest month for real estate activity and while there is a perception that this may have been the “best time” for Naples to withstand a natural disaster, the effects of this storm will be felt for some time. Skilled labor is at the center of the pace of recovery. Puerto Rico, the Caribbean and California absorbed various facets of the construction industry who continue to repair and rebuild on an epic scale alongside government agencies. National and local developers prior to the storms struggled to keep pace with rising costs and labor shortages. On a local level delays in new construction may spur an increase in local existing home sales especially if inventory does not keep pace with sales. Total inventory of available homes in Naples dropped 9% in third quarter 2017 as compared with the same time period last year. Private sellers may have a golden opportunity this season to capitalize on selling in the short term to eager buyers who would have otherwise purchased a new construction home. While renovated properties in prime neighborhoods are always in demand, every type of seller (developer, investor and private owner) has had to manage various degrees of clean up prior to placing the property on the market. As a result the pace of inventory may be skewed for undetermined amount of time that may affect buyer behavior and the rate of sales. The NABOR® Third Quarter 2017 Market Report provides comparisons of single-family home and condominium sales (via the Southwest Florida MLS), price ranges, and geographic segmentation and includes an overall market summary. Fortunately, father time has been generous with us as November is when seasonal owners arrive, and buyers begin surveying the market. With a few weeks into the month the Naples market is showcasing signs of good progress. Results from the multiple listing service this month, at time of print, showcase 473 closed sales with an average 40 new listings being added daily. These figures take into account all properties within all price ranges and are encouraging signs as the majority of transactions typically occur in the first three month of the calendar year. Given the effects of Mother Nature that the Naples area has endured rejoicing this holiday season may take on a new dimension. From our family to yours we wish you a Thanksgiving holiday filled with health, laughter and peace. May we always remain in close company of those that mean the most to us all.